We all want to save more money. Put that smartphone to work for you and save money with these money saving apps. Saving money on the go with your mobile device has never been easier. Download them today and start saving now. It really cannot get any easier than this folks. Almost everyone has a smartphone these days. Saving a little money here and there can add up monthly or yearly. Whether you use your savings to fund your 3-6 month emergency fund, add to retirement accounts, or makes ends meet, these are a few great apps to get started with and save a little extra cash. Be sure to Pin this on Pinterest for future reference and to share will all of your friends. If you are not using Ibotta to save a little money every week, you are missing out! Sign up through this link and receive a $10 bonus. Make sure to redeem your first offer within 7 days to qualify for the $10 bonus. Simply find rebates from popular stores and then after purchase, you often have to scan the bar code and then the receipt. And just like that, a little extra cash back. Stores include not only grocery stores, but drug stores, convenience stores, clothing stores, online stores among others. There are bonuses to complete for a few extra dollars every month and you can also team up with your friends and save even more! This is about as easy as it gets! After you download the Fetch Rewards app, all you have to do is scan your receipt and you accumulate points. You can get extra points for some products, but you will always get points for every receipt! Yep, I am going to praise YNAB from the mountains again. Download this app and use it on the fly when you are out and about. Since you will be able to take your budget with you, there will be no excuse to overspend! Want to know more about YNAB? Read all about my how I am able to keep my budget in check with My Budgeting Breakthrough – When my Money Finally made Sense. Cash back every time you shop, who wouldn’t love that. The Ebates app is really easy to use. Get $10 just for signing up and making your first purchase within 30 days. How easy is that? With Ebates, you can shop just about anywhere online and get cash back. During the holidays, the cash back percentage is often doubled. From makeup to pictures to flights to shoes, Ebates has it all. My favorite thing about Ebates is that when I jump onto a store’s website, I automatically get a notification if the store participates (most do) and how much the cash back percentage is. You can even order online and pick up at the store to increase your savings. Gasbuddy is a great on the go app. Check the gas prices in any area that you are traveling in. You can also report gas prices if they are incorrect on the app. 38% of drivers visit a gas station because of the convenience. Just a check to Gasbuddy could maybe save you .20 every trip. this is great app to take on vacation with you! RetailMeNot has tons of coupons and cash back deals. All kinds of stores, including fast food, grocery, drug stores, clothing stores and much more. I personally use this every year at back to school time. This app saves me a lot of money clothes and shoe shopping for my kids. I absolutely love this on the go app where I can save money on the fly! Eat healthy and get paid! Berrycart will help you find the best deals on organic, non-GMO, healthy foods. Not only will it help you find the best deals, but you will learn a little on the way as well. Then just snap a picture of your receipt, upload it and BAM – money in your pocket. Everyone needs to track your credit score, even if you don’t plan on accumulating debt. Credit Sesame will keep you up to date on not only your credit score, but it provides free identity theft protection. In this day and age of our whole lives practically being online, protecting our identity is a must. You will also get personalized financial tips and education. I think the best part of Credit Sesame is that it is absolutely free and there is no credit card needed to sign up. Personal Capital is an absolutely amazing financial tool. This one is a must have for anyone who is trying to see their whole financial picture in one glance. 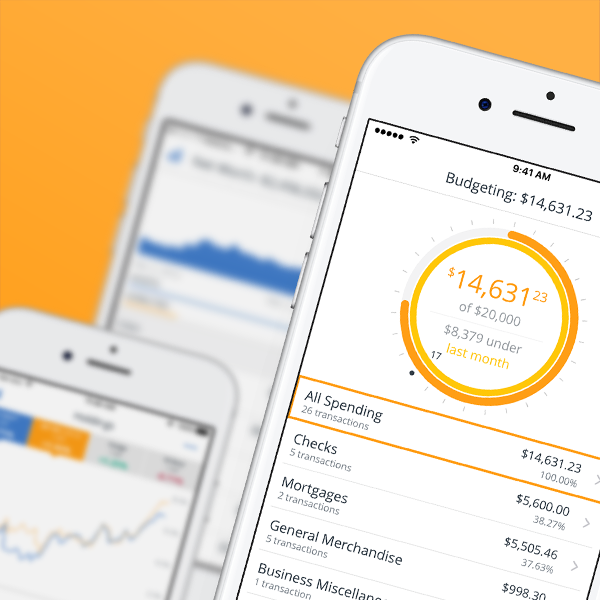 It tracks your net worth, your spending, your investments. There is a retirement planner and investment services. You will be able to track where you are financially at all times. Another money saving app is coupons.com You can get free fruit or vegetables almost every week! Just make your purchase and then scan in the receipt, within a day or two cash is deposited into your PayPal account. It is so easy to use! You can also scan many coupons right from the app at the store. No more cutting out coupons and carrying them with you. What an app! If you are into keeping up to date with all the deals and sales, the Krazy Koupon Lady app is for you! Coupon match-ups are listed for many stores, so you will know on the fly how to save the most money. TopCashback claims to have a very generous cash back program. It is free to join and you can get cash back shopping at all of your favorite stores. You can get free gift cards just for shopping and saving with Swagbucks. Most cash back offers are a percentage of your total purchase, but there are a few flat dollar cash back offers as well. I use this app every time I shop online to see how much I can get back. This works just like Ebates or TopCashBack, but has different stores. If you cannot find your store at one, be sure to check the other apps. You can get deals on just about everything on Groupon, from concert tickets, hotel rooms, vacations, massages, clothes. You name it – you can probably find it. This app is perfect on the go so you can get all of your local deals. Great for saving money while on vacation! There really is no reason for you to not be saving a little money on every purchase, or keeping better track of your finances, which will always save money. Use these apps to save money everyday on your Smartphone!